Quality Vaults and Monuments offers custom engraving. We offer engraving services for existing monuments and markers as well. When adding engraving, we will match the existing engraving style. Quality Vaults and Monuments, Inc. is a proud member of the Florida Monument Builders Association. Read the Memorial Buyer's Guide. Bronze offers you an alternative to traditional granite. Quality Vaults and Monuments has the large selection of bronze markers and other bronze products. We offer the most competitive prices. Bronze can be used as an accent feature on a granite monument. Bronze can be used as the focal point of a monument. It can also be used as a lawn level or bevel marker. Government markers are often made of bronze, and we can design a companion marker to duplicate the bronze Veterans' marker. We will customize any of our bronze markers to fit your needs. 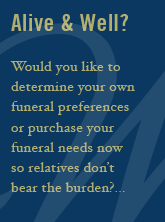 Some cemeteries have restrictions as to the type of memorial you can choose. For those cemeteries that only allow bronze markers, and bronze markers on a granite base, we can take care of your needs and create a beautiful, personalized bronze marker for you. Quality Vaults and monuments is uniquely qualified to work with you to create a beautiful monument. We carefully select granites from around the country and around the world to bring you some of the most attractive, unusual and durable stone available, giving us a selection of colors unmatched by any of our competitors. Our award winning designers will create a special memorial for your loved one, no matter how small or big the budget. Contact us for more information about monuments, engraving and markers.